For his first solo show since 2008, curated by Dallas, RIVIERA invited Lukas Wassmann to reflect on his work as a contemporary photographer operating across fashion, advertising, editorial, and personal fine-art projects. True to his straightforward, honest, and inherently humorous style, Wassmann responded by exploring an unexpectedly personal angle, looking at his own everyday life and friends—or, perhaps better, amici. 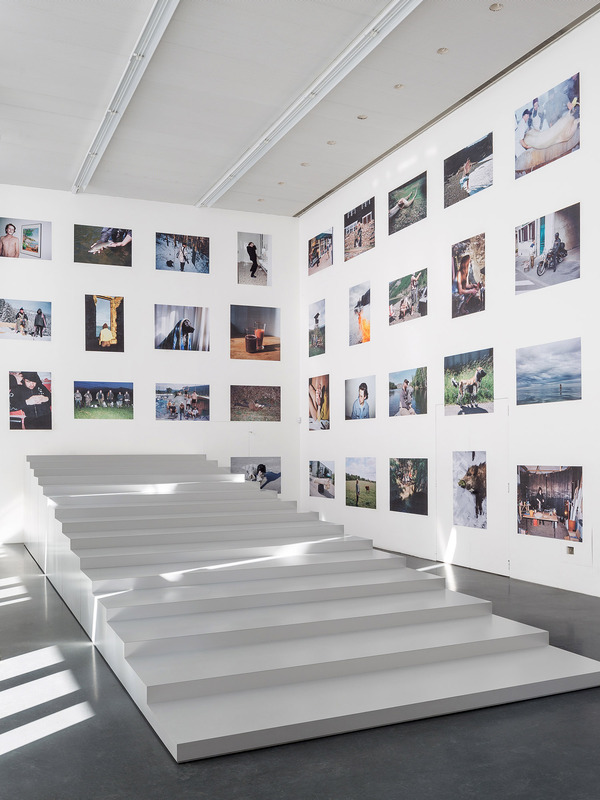 The skillful installation of the pictures offers a privileged point of view, highlighting Wassmann’s desire to capture the moment and those living it with and around him. Born in Zürich, Lukas Wassmann trained as a carpenter from 1996 to 1999 in a small town in Switzerland, then worked as an assistant to various photographers in Milan, Zürich, and New York. In 2003 he attended a professional course at FAS Berlin Photography School led by the German photographer Arno Fischer, and then from 2003 to 2006 he studied at the Zürich University of Arts in the photography department. He has lived in Zürich since 2009 and has received the Swiss Federal Design Award and the FOAM Talent Award for his vivid, humorous photographic style. His recent clients include Apartamento, Pin-Up, Victoria Beckham, Vanity Fair, Tod’s, Kanye West x Adidas, and Vogue. Wassmann regularly teaches at the undergraduate and graduate programs at écal Lausanne.